Sorry we have now sold out of this species. 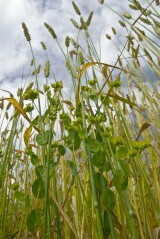 Thorow-wax is a distinctive, architectural cornfield annual which, from a distance, could be confused for a spurge. However, it has greenish-yellow flowers clustered at the end of stems; each cluster surrounded by a ring of green petal-like bracteoles and is in fact a member of the carrot family. The stem is branched and reddish with round to oval leaves that surround the stem. Flowers form June to late July. 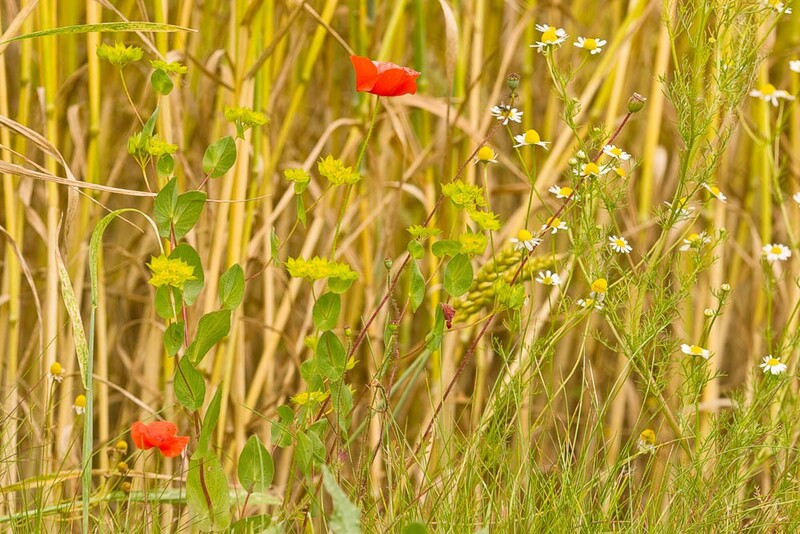 Thorow-wax is an annual that can be grown successfully on a wide range of soils including quite fertile ones, but requires autumn cultivation if it is to return the following year. 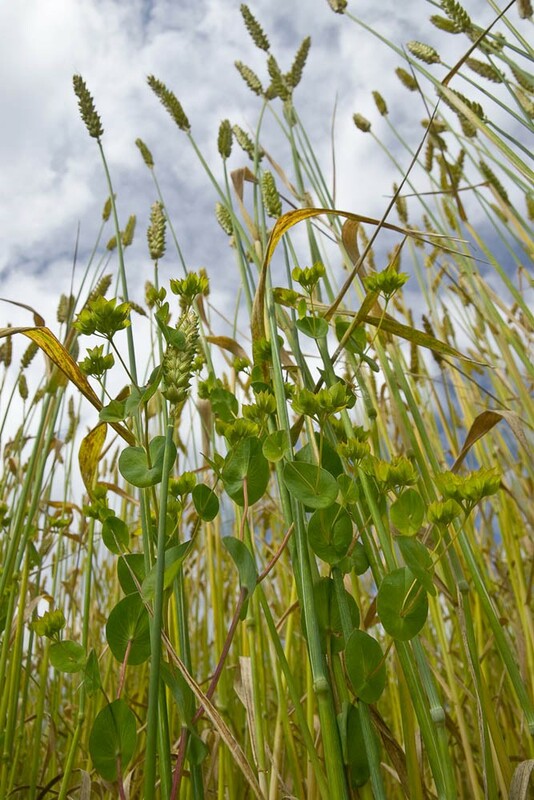 It was formerly common as an arable weed on calcareous loams but declined with the introduction of improved seed cleaning technology and the use of new herbicides. It probably went extinct as a wild plant some time in the 1970s. Best sown in the autumn. 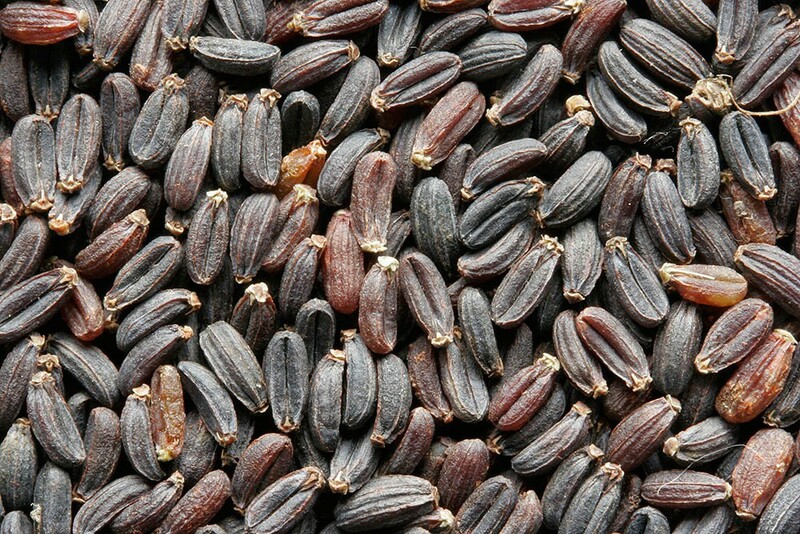 The majority of seed normally germinates in October to November with a minority coming up in the following spring.